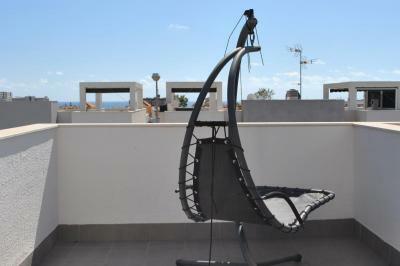 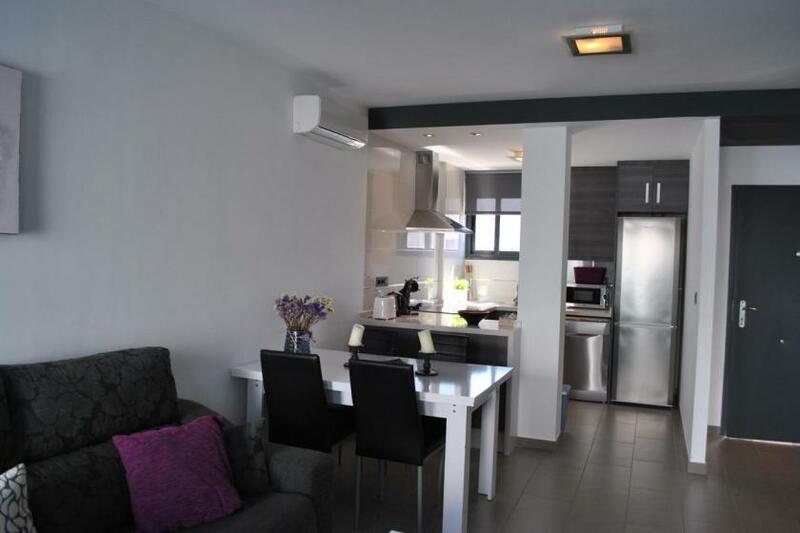 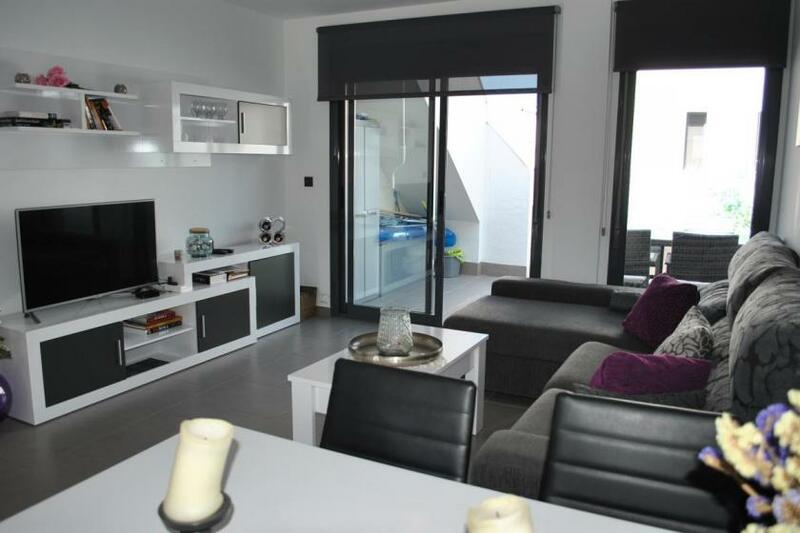 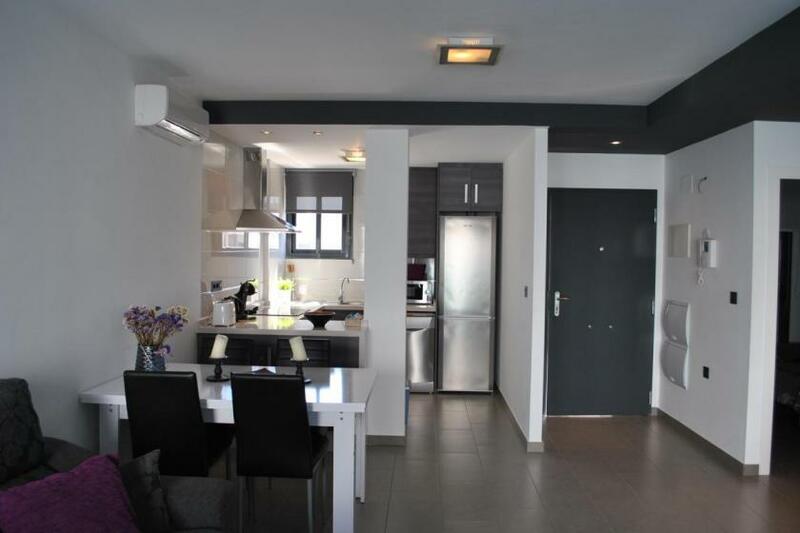 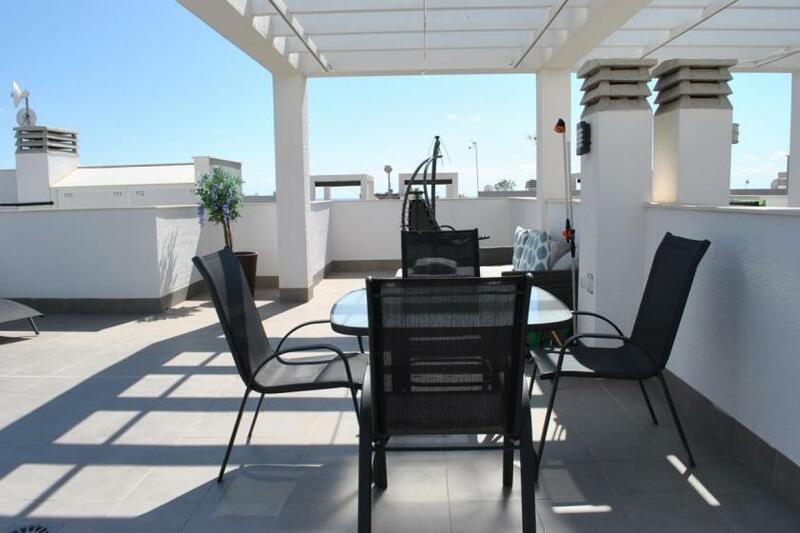 This modern penthouse apartment in Oasis Beach La Zenia 4 is furnished with SAT TV and Wifi. 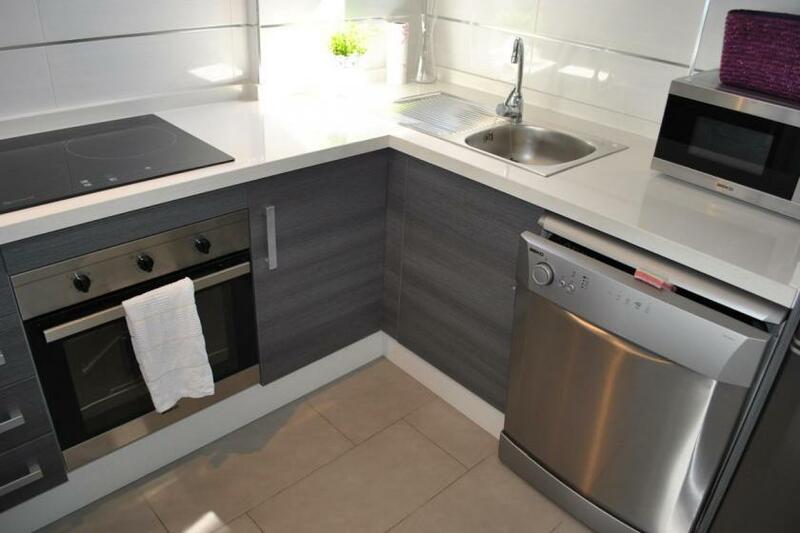 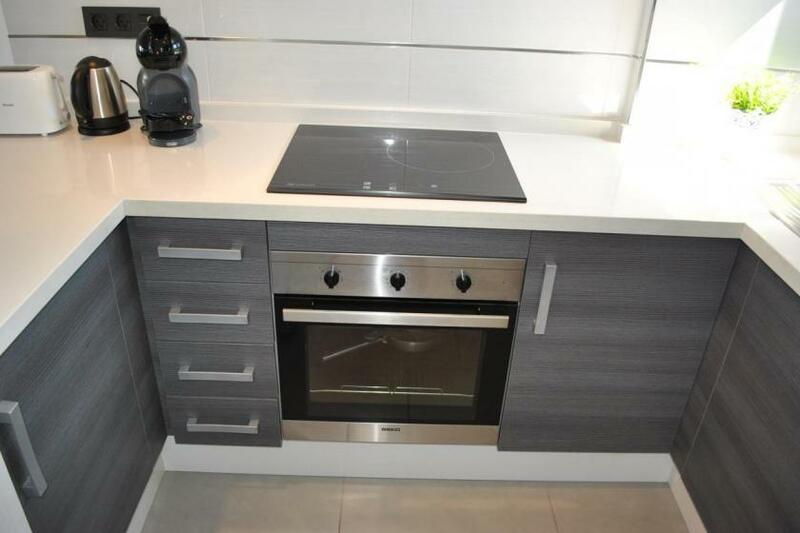 The open kitchen is provided with all the necessary appliances, including a dishwasher. 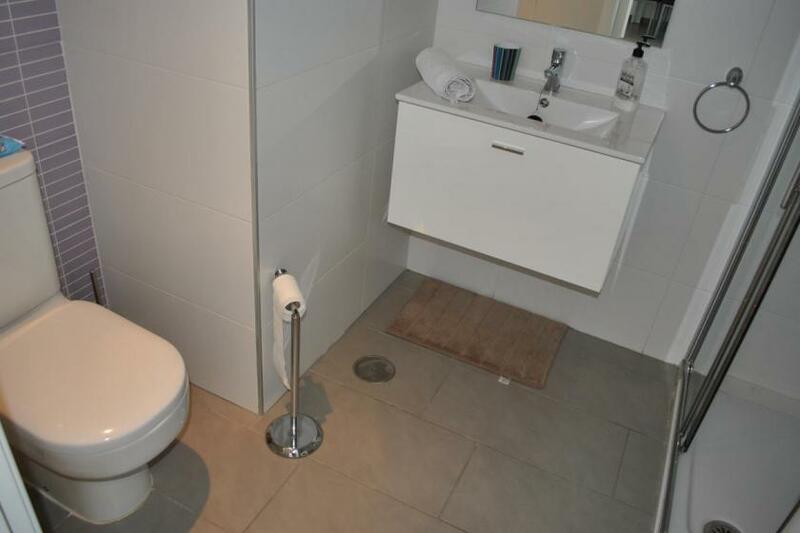 There are 2 bathrooms, each with shower, sink and toilet and two bedrooms with 1 x 2 and 2 x 1 sleeps. 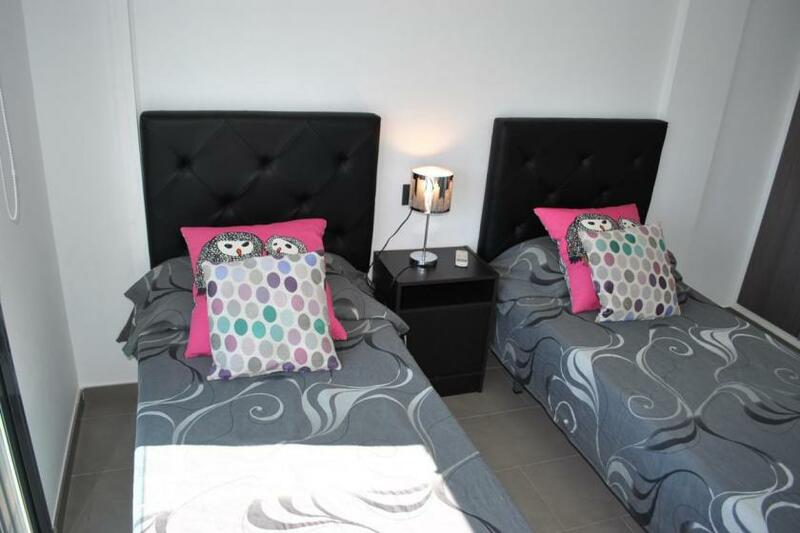 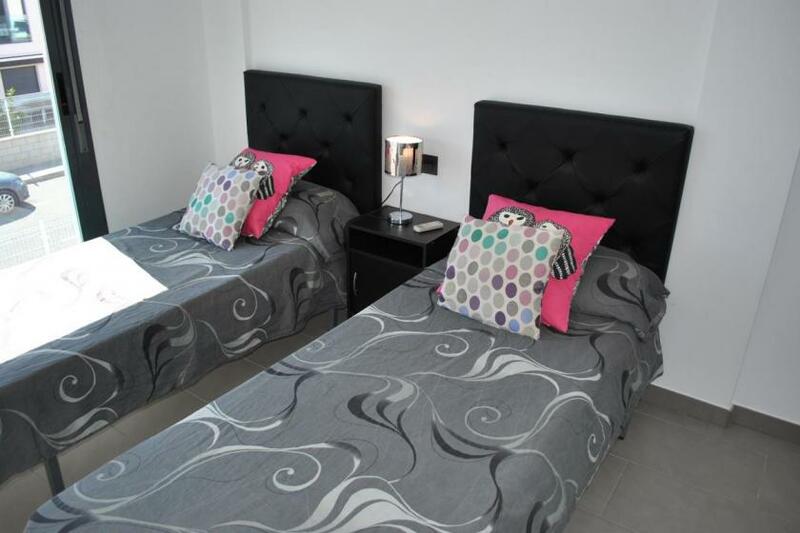 Both the living room and the bedrooms have air conditioning, hot and cold. 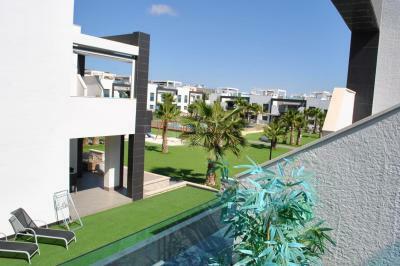 From the balcony you have a view on the comunal garden where the pool is located. 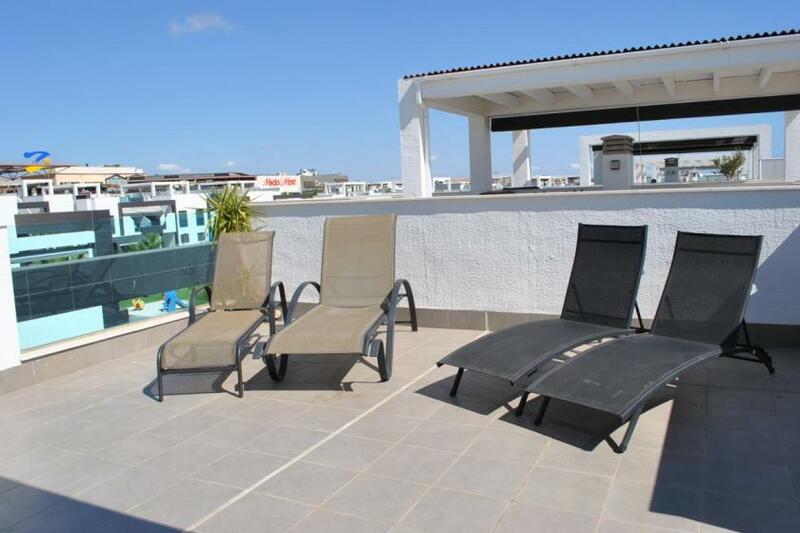 From the roof terrace, furnished with furniture and sun beds, you have views to the sea and the surrounding area. 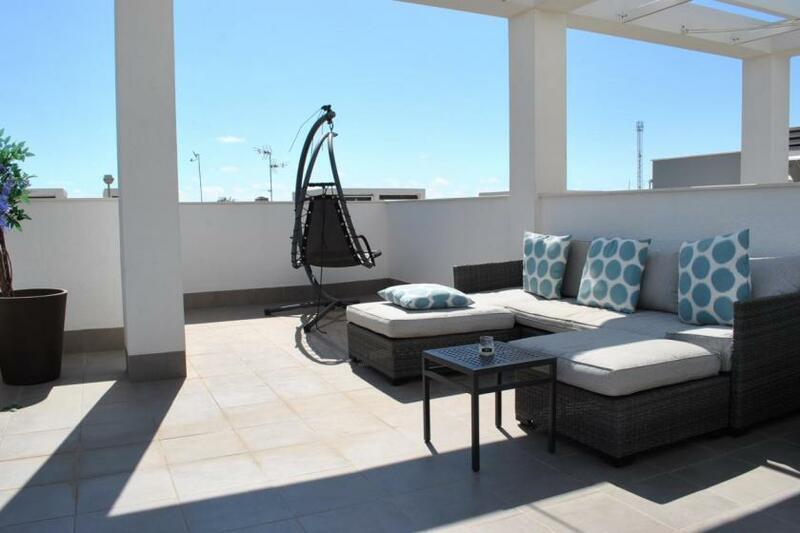 Both the balcony and the roof terrace are equipped with quality blinds. 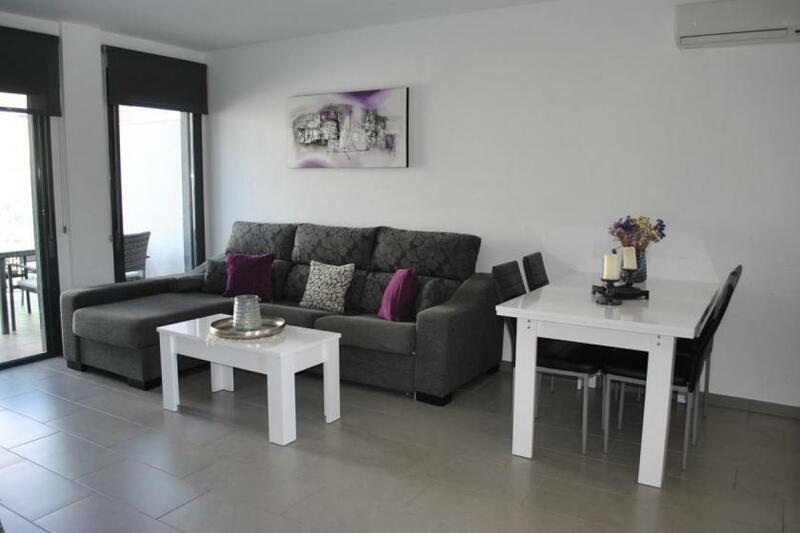 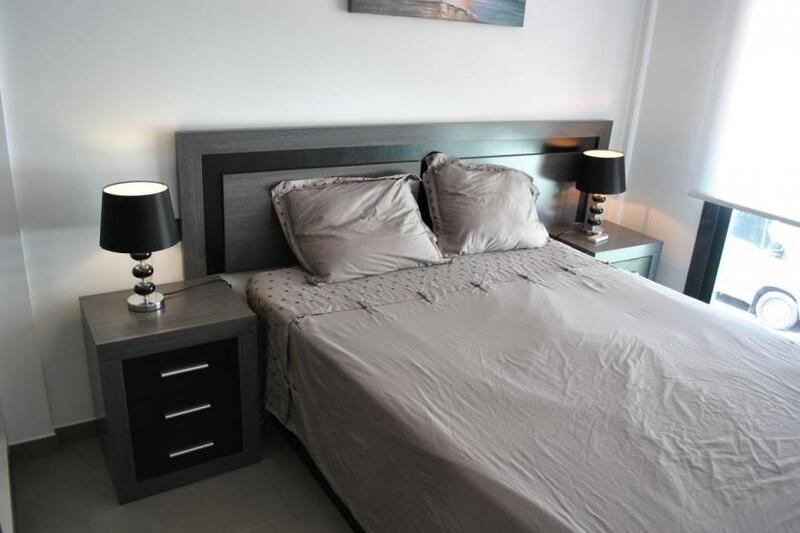 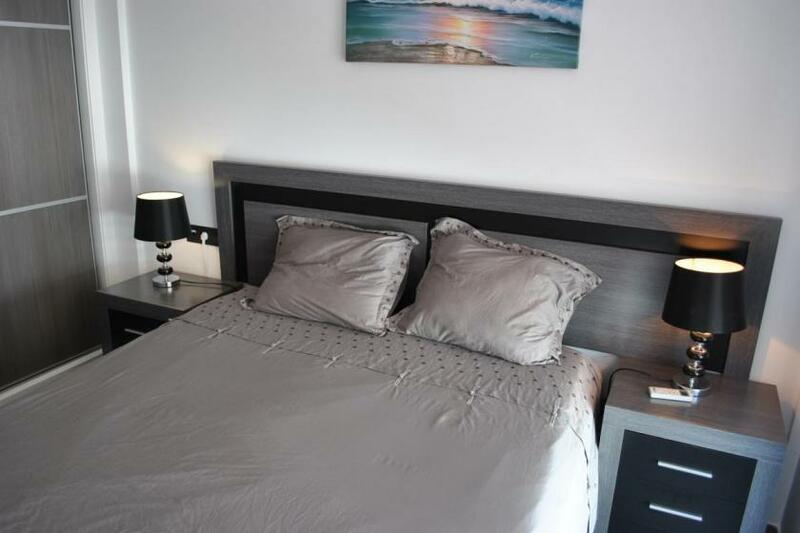 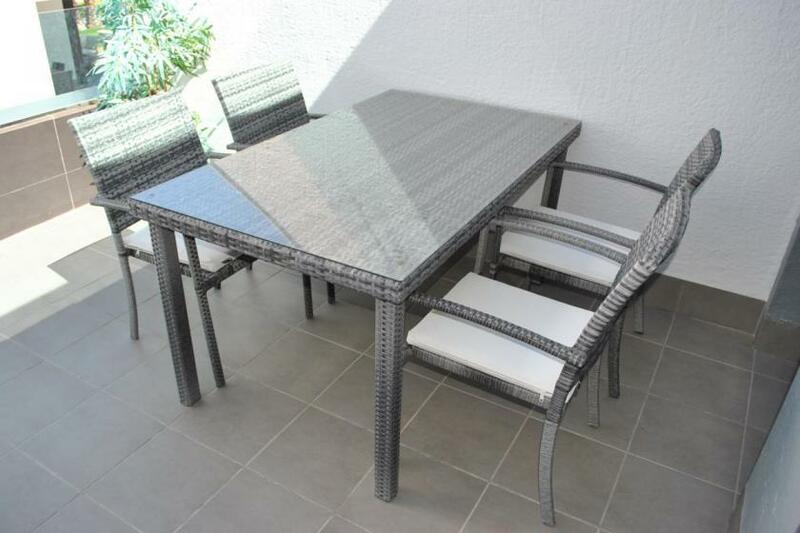 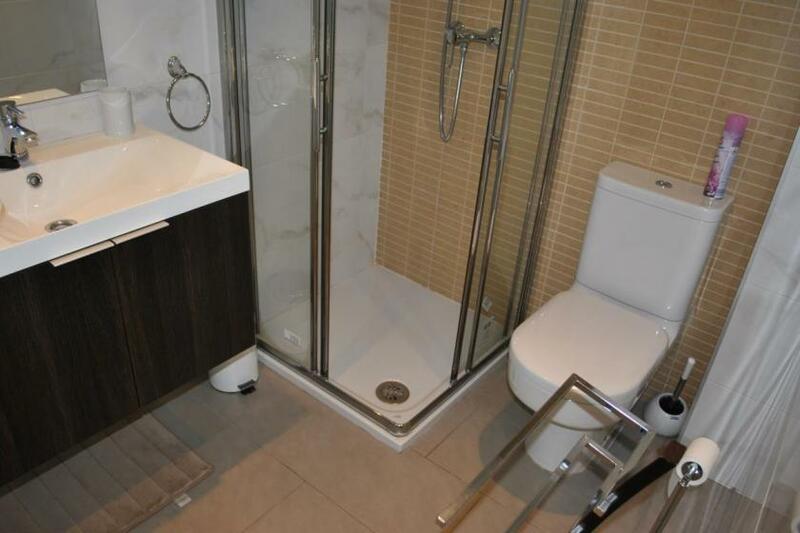 This beautiful apartment is luxuriously furnished and is central located. 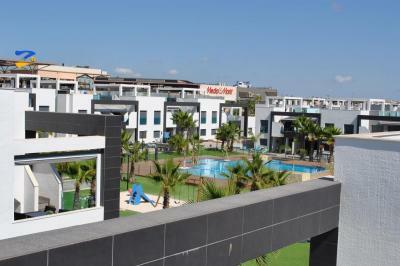 All facilities that can provide you in your daily needs, as many shops, centers and restaurants are within easy reach. 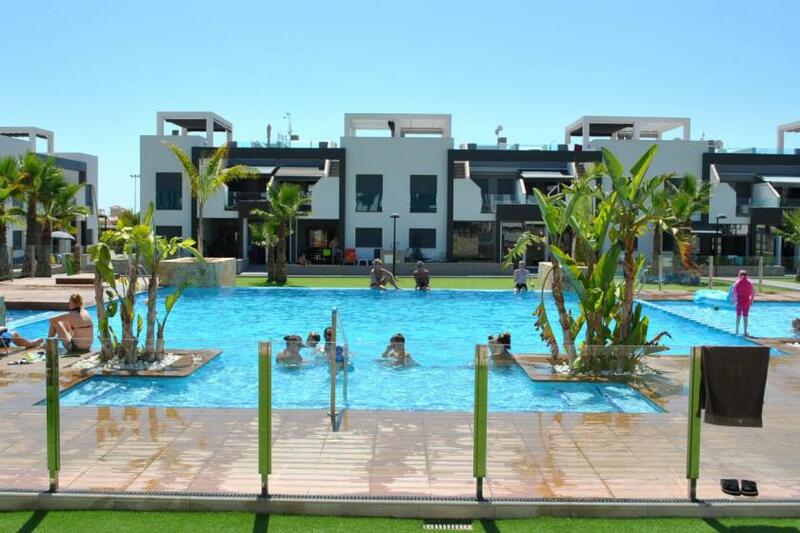 The apartment is within walking distance from the most beautiful sandy beaches of the Costa Blanca, such as La Zenia, Playa Flamenca and Cabo Roig. 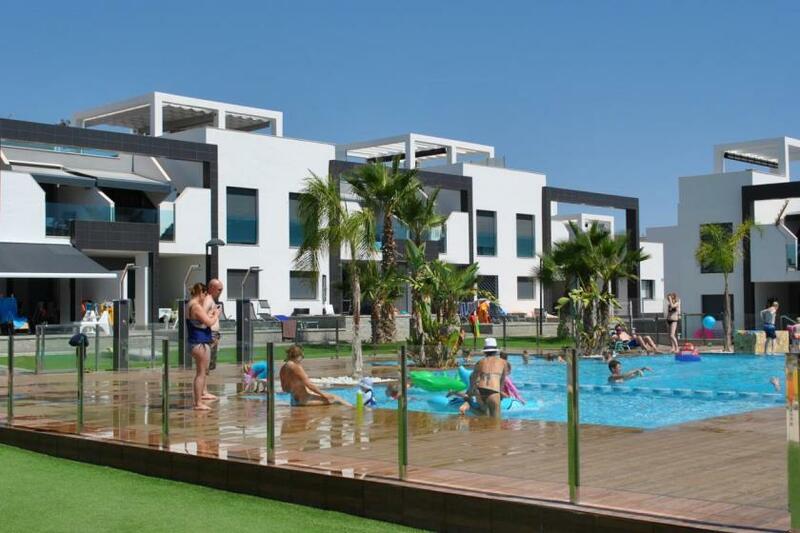 In addition to the complex you will find a Mercadona supermarket with lots of bars and restaurants.